One of my personal (not only local … but all-time!) faves, the Terramara guys are veterans of the local Twin Cities music scene, touting a stylistic approach that recalls Steely Dan, Joe Jackson and a handful of other smart jazz-infused too cool for school jams! For the 2011 Festival, The Amalganauts plan to make an appearance, as they are an alter ego of the band Terramara and get shear enjoyment out of taking well-known songs and mashing them together in a symphony of musical karma! 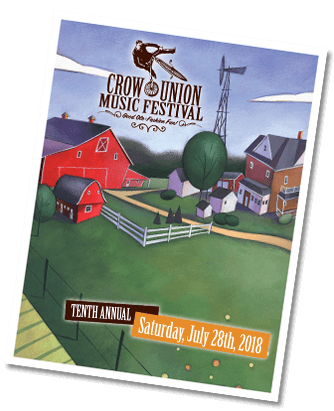 The Crow Union Village was thrilled to have Pictures of Then in our 2010 lineup … Everyone took notice as they almost blew the roof off the barn. I personally was knocked over by their stage presence and fresh sound … Take a bit of late sixties British Invasion, add a healthy dose of “good” seventies rock and a dash of psychedelia, stir in some GREAT songwriting and harmonies … and you have a healthy serving of Crow Union rock-n-roll stew! 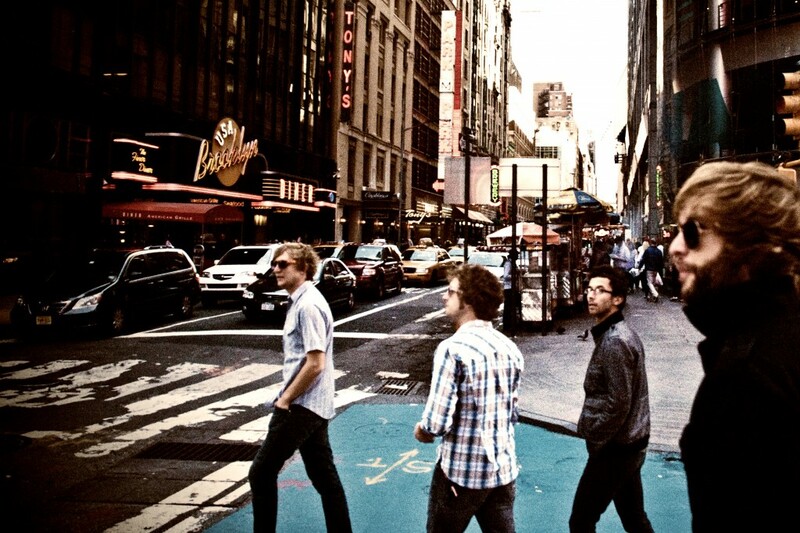 One listen to Pictures of Then and you too will become an instant fan. Promise. The Lamont Cranston Band is a frankly one of the baddest and greasiest blues band to ever come out of the Twin Cities. Founded in 1969 by brothers Pat and Larry Hayes, “Cranston” continues today with Pat as the band’s frontman. The Cranstons have shared bills with some of the biggest names in the industry including Muddy Waters, Luther Allison, Albert King, Albert Collins, Jimmy Rogers, Stevie Ray Vaughan, Charles Brown, Buddy Guy, Jimmy Thackery, Junior Wells, Keb Mo, Jonny Lang, Robert Cray, Son Seals, Charlie Musselwhite, Earl King, Mighty Joe Young, Sugar Blue, Otis Rush, Elvin Bishop, Little Feat, Delbert McClinton, Koko Taylor, Lonnie Brooks, Percy Sledge, Clarence ‘Gatemouth’ Brown, The Climax Blues Band, Tower Of Power, The Kinks, The Yardbirds, The Animals II, Kansas, Yes, Jeff Healy, Wilson Pickett, Bonnie Raitt, The Blues Brothers and many more. One of the biggest thrills was opening for The Rolling Stones on a leg of their North American tour in 1981. In 2010, the band was inducted in the Mid-America Music Hall Of Fame. Just another of many well-deserved honors the band has been blessed with. Lamont Cranston has also received the numerous Critic’s Choice AND Reader’s Choice awards for “Best Twin Cities Blues Band” by City Pages. The band has also been featured regularily on Dan Aykroyd’s House Of Blues Radio Show. In fact, Aykroyd (the original Blues Brother!) is quite fond of Cranston proclaiming, “No one infects venues with the party virus quite like Pat Hayes and The Lamont Cranston Blues Band. They’ve always been my favorite.” – Elwood Blues aka Dan Aykroyd. So come join us and get a little lathered up with some late evening Cranston grease that’s sure to turn Crow Union 2011 into the Lower Crow Union Shakedown of the year! 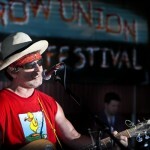 Ragman (Random and Occasional Acoustic Sets ): Our Official Crow Union Storyteller!